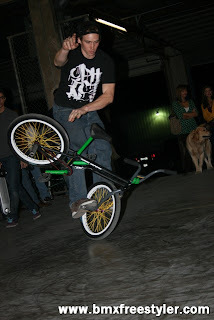 On January 8, 2011 the ATX Flatland Crew were invited to the “Sharp End Athletics” grand opening to do a flatland demonstration of flatland stunts. This was the very first event for us in 2011 and everyone was excited to ride. It was being hosted by friends of the crew Ben and Ashlee. They provided food beverages, DJ and a small flat area for us to ride in. Our riding spot was a cleared out section of a warehouse. It was filled with dust so the spot was very slick. We gave it a good mopping and that helped out a bit but it was still kind of slick. We all look at it as if we were at JoMoPro getting ready to ride for competition. The event ran very smoothly and there many people amazed at the tricks that were being seen. 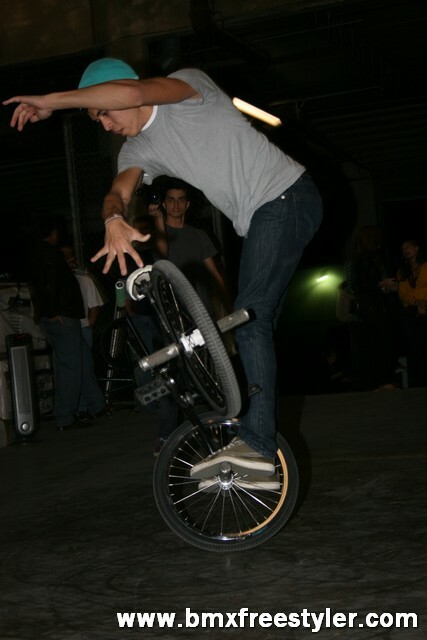 I met some one he was really impressed with the display of tricks. 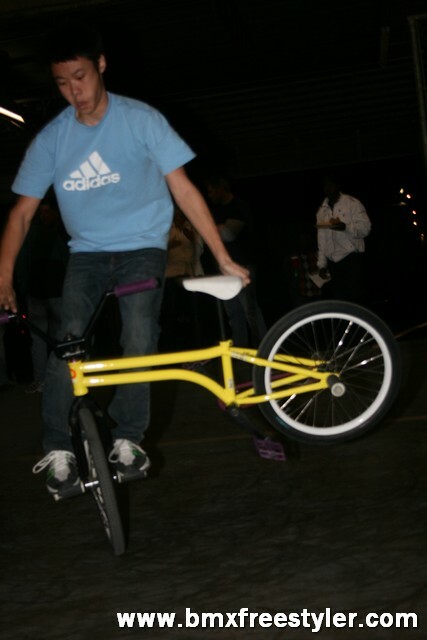 I went to promote BMX Freestyler and tell him that he could find more information about the flatland there. 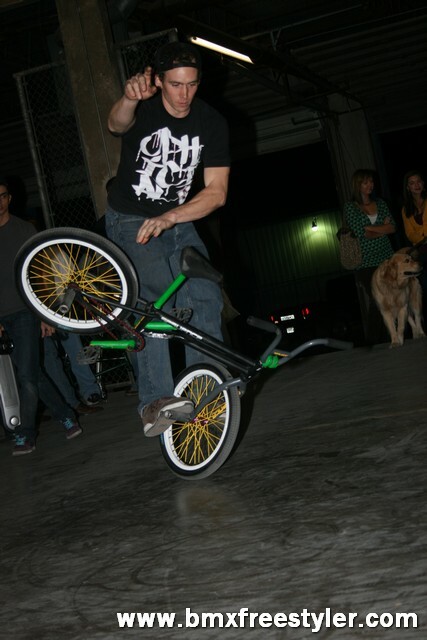 He told me he had already been to BMX Freestyler because he saw that the ATX Crew was coming to the event. I thought that was ultra cool. The Crew took a couple of breaks to see some of the other activities that were going on. There was a training area that was filled with equipment. There was 1 piece of equipment that got everyone attention. It was a strap that was pulled very tight. It was designed to build balance and work out your core strength area. There were 2 versions a short one that was very fun to stand on and see how balance you were. The longer one really tested your core strength. It was fun to watch everyone trying to make progress with this strap. Surprised guest Michael Shao from Collage Station, TX showed up to participate in the demo. We had not seen Michael in a while and he had 1 heck of a growth spurt. Along with growing in size, he also had a new Colony Cube. 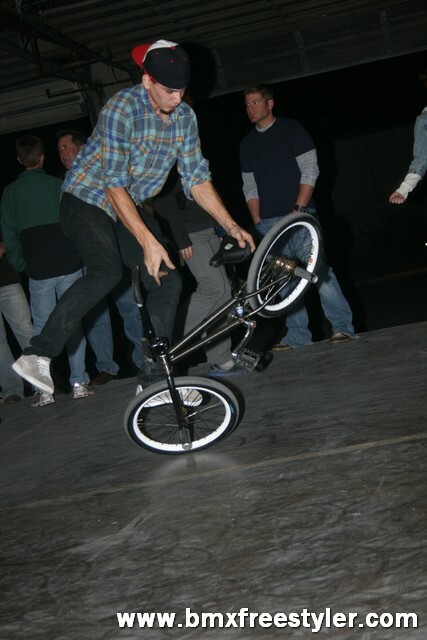 It was a great fit for him and everyone’s jaws dropped when he found the sweet spot to spin very fast. 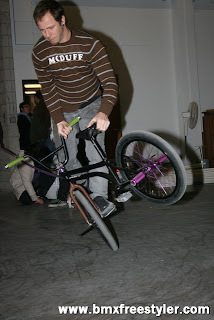 He was whipping around Mc Circles at and incredible speed and switching into spinning half hikers and back. Jim was recording at the time he hit that link so we will have to be on the look out for this one. Michael will be turning 16 on Monday the 10th of January. This trip to Austin was in celebration of this birthday from his parents. He will be getting his license and driving very soon. 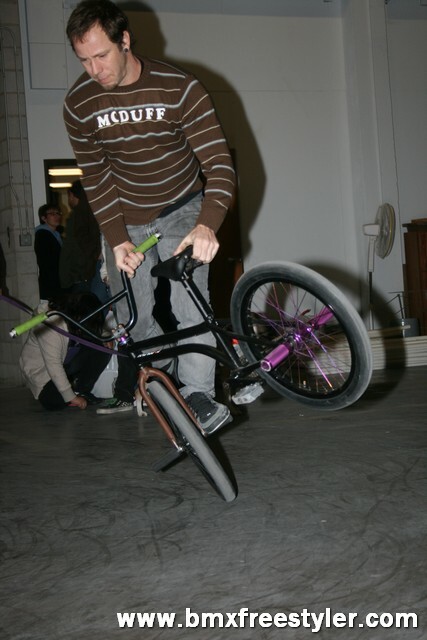 We will be seeing more of Michael this year as he becomes more mobile and able to get around. There was a dunking booth as well. People took turns trying to dunk Ben in the pool of water. It was very entertaining as everyone was shouting and yelling trying their best to hit the target. Ben was a great sport as he took a few dips in the water because he got dunked! Awesome write up and video Mark! What freakin' awesome way to start off the year! Thanks Mark for posting these videos, had a blast with you guys. Marco, the kid I brought with me, said "this is the best day I have ever had". 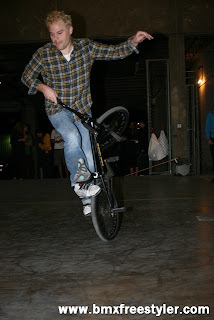 He was really happy to get to try a few tricks and I showed him his picture here...he went home and was going to look at bmxfreestyler.com. You guys made some fans last night! I wrote that...ha, ha...signed in as Mariah-Rae, but she agrees, and had a great time last night. Great video Rad Dad! Thanks to everyone who came out and contributed! I know Ashlee and Ben appreciated having you all!